Dr. Qimin Quan joined Rowland Institute at Harvard in September 2012, after completing his Ph.D. at Professor Marko Loncar's Lab at Harvard University. Qimin was graduated from Physic Department at Peking University. Qimin is curious about new technologies that are translational to improve our life, new frontiers of science such as how brain works and what causes brain disorders. The group is currently focused on developing new nanoscale platforms for therapeutic neuroengineering. ​> More information about Rowland Junior Fellow, please click here. Dr. Feng Liang Joined Quan Lab in November 2012, after completing his postdoctoral research at Professor Reddy's Lab at Northwestern University. 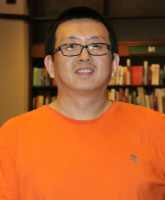 Feng is a biologist graduated from Ji Lin University. Feng's research focuses on developing nanosensors to study molecular dynamics at the single molecule level, as well as novel biosensors to study protein dynamics in Alzheimer's disease. ﻿Dr. Shaocong Hou joined Quan Lab in Feburary 2016, after his postdoctoral research at Cambridge University in the United Kingdom. Shaocong is a chemist graduated from Chemistry College at Peking University. Shaocong's research focuses on developing organic-inorganic perovskite nanophotonic devices for neuroengineering. Summer is a boy Bichon Frise, hugely entertaining. 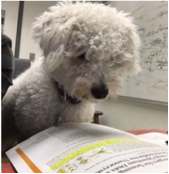 He loves reading papers and chasing treats.